Hypno™ Beam is an LED beam moving head with hypnotic LED rings designed to transfix your audience. 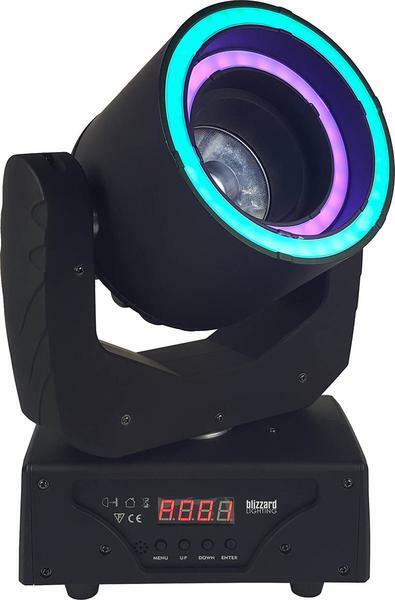 It comes loaded with a high-output 60W RGBW LED in the center for stunning 8° moving beam effects, then, the center LED is surrounded by 2x LED rings that can perform mesmerizing chase effects, single LED chases, full color changes, and strobe. Hypno™ Beam offers two user-selectable DMX modes (14/23-channels) and an easy-to-use 4-button LED control panel. The power connections are industry standard powerCON® compatible In/Out, plus, it comes equipped with 3-pin DMX In/Out jacks and a quarter-turn “Omega” quick connect type clamp bracket.